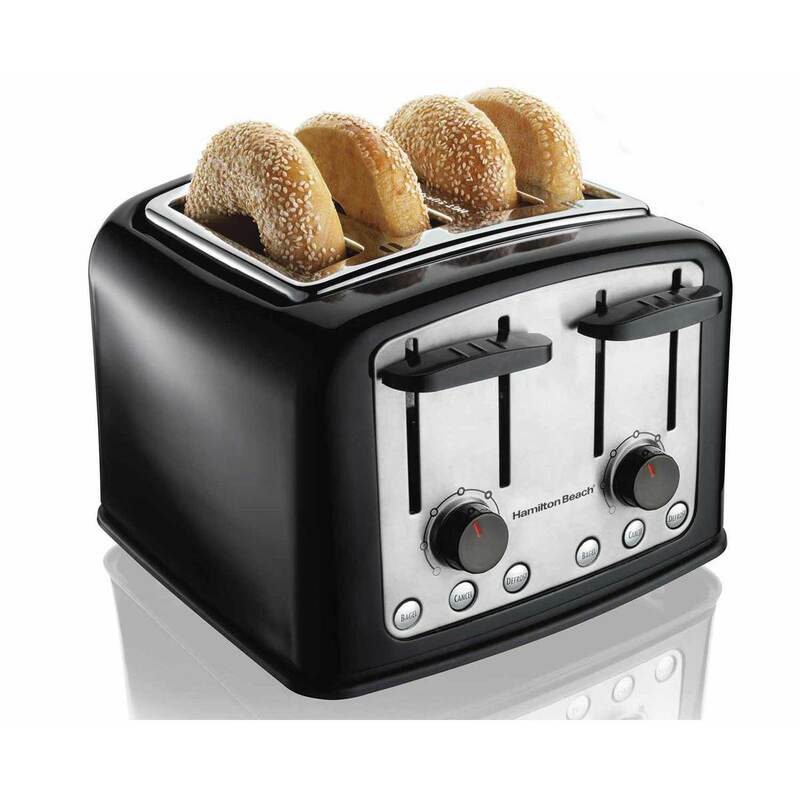 Wide slots and advanced technology make mornings easy. 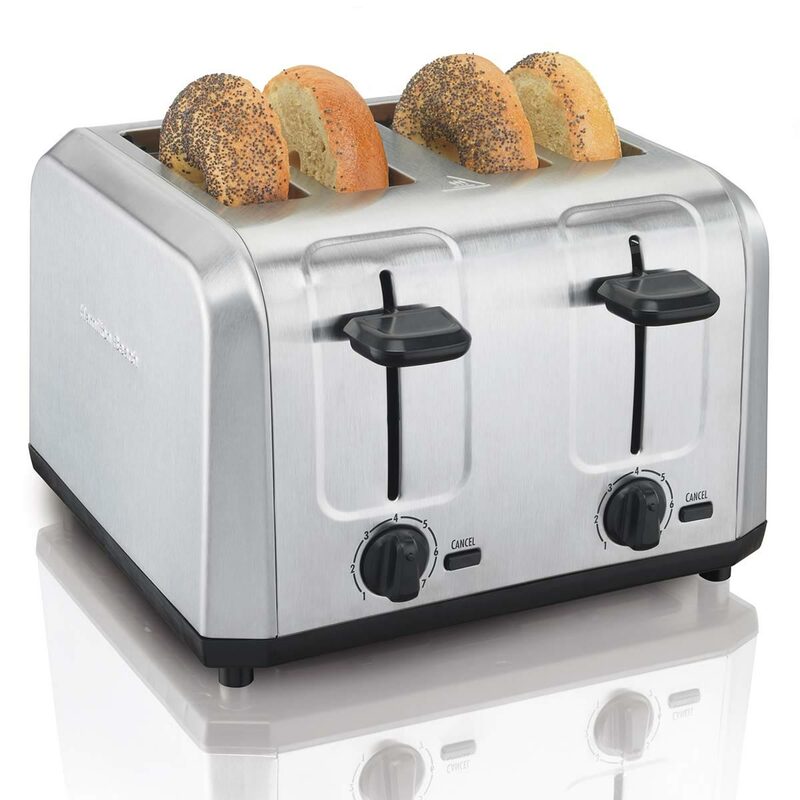 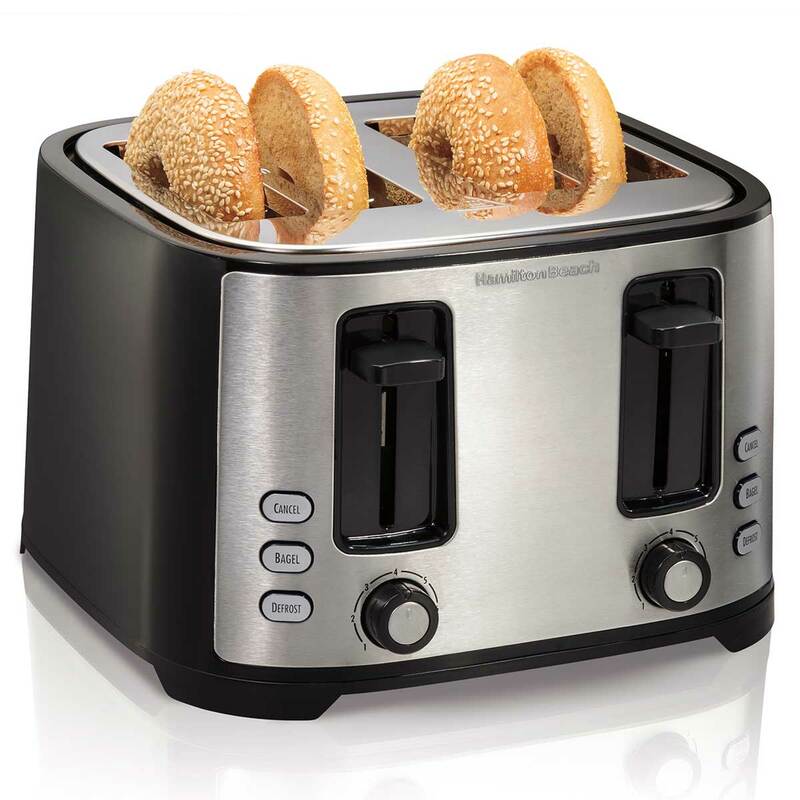 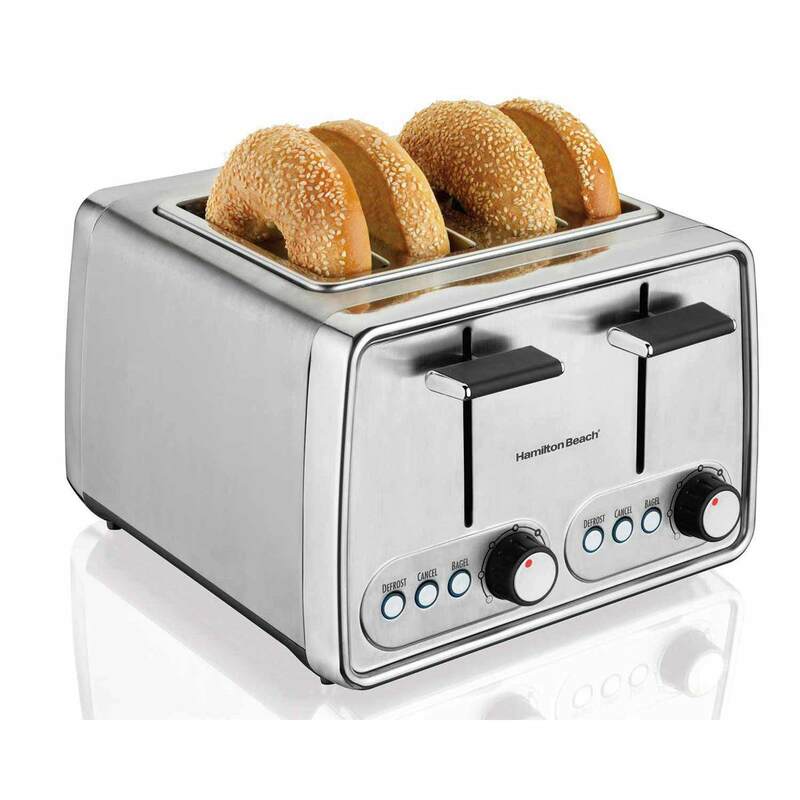 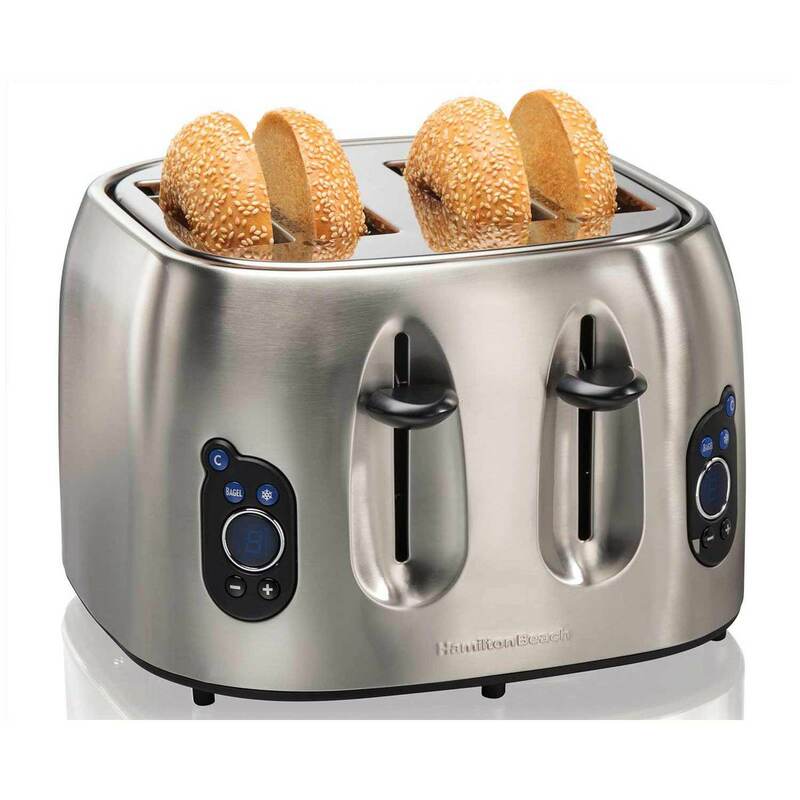 Hamilton Beach® 4 Slice Toasters incorporate wide slots to accommodate bagels and slices of homemade bread. 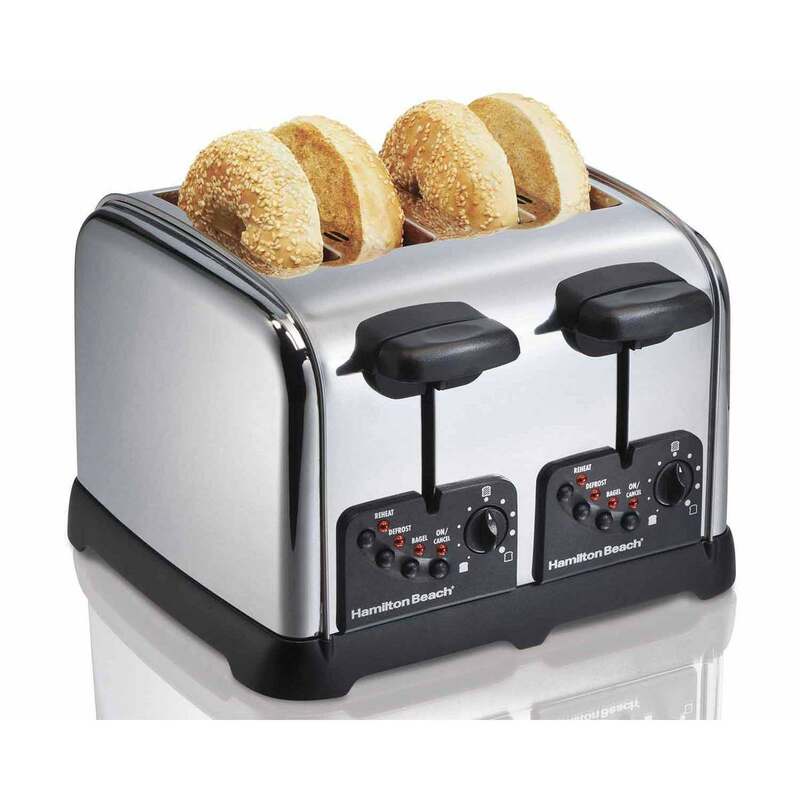 Not only do they toast evenly, optional smart functions allow you to reheat and defrost, too. 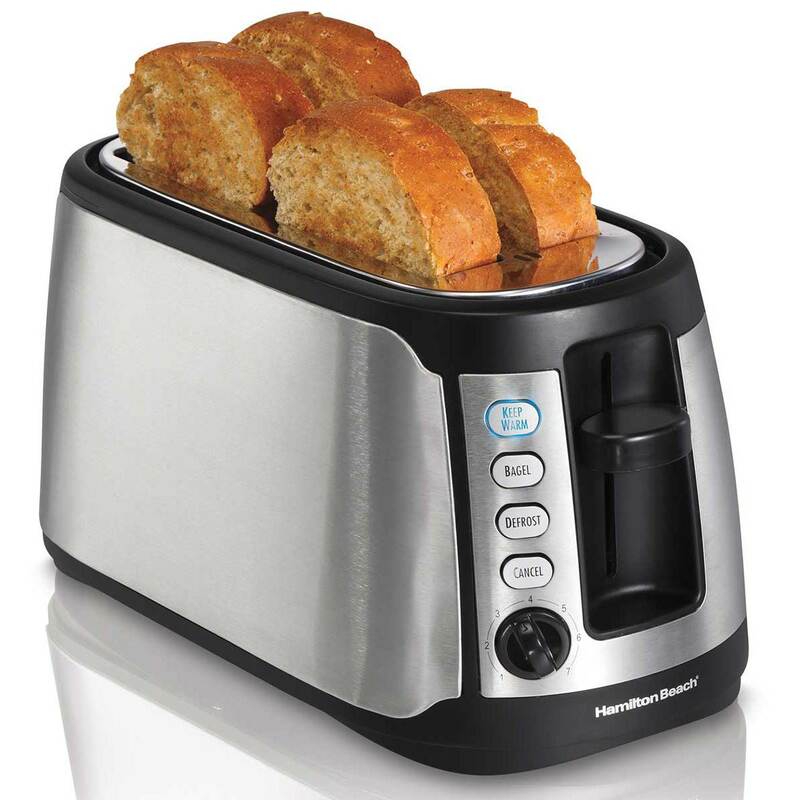 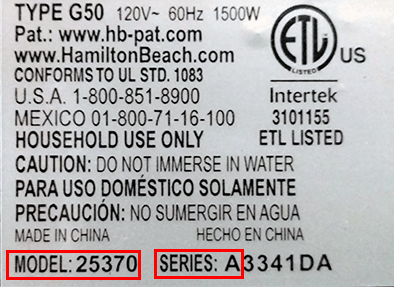 In addition to unmatched practicality, Hamilton Beach® 4 Slice Toasters are attractive, durable and easy to use. 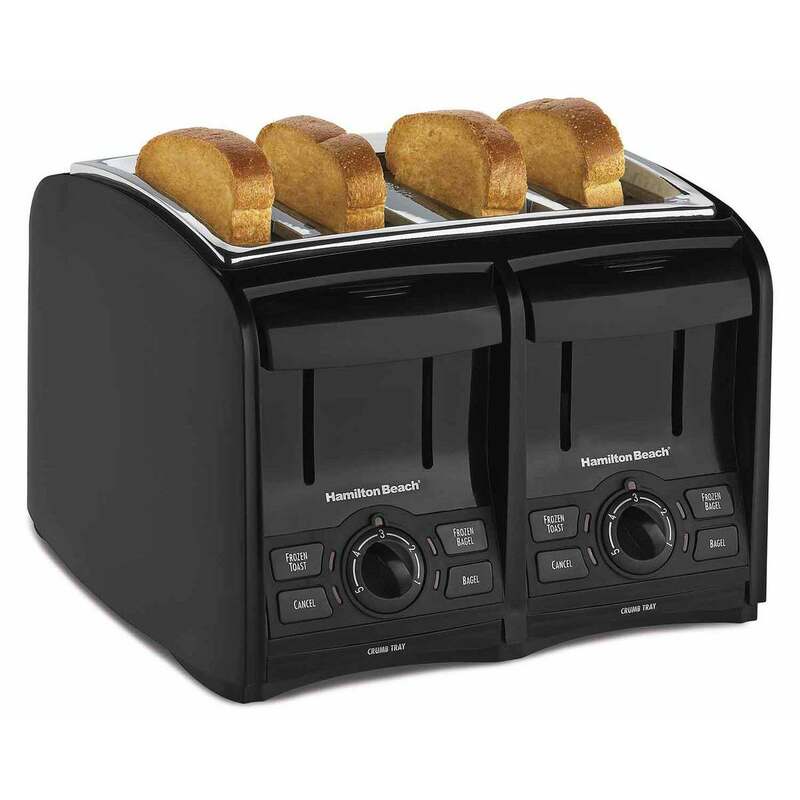 Plus, our toasters equipped with automatic shutoff, toast boost and a removable crumb tray for easy cleanup.